Our values are simple. 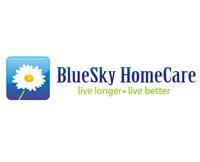 BlueSky HomeCare strives to offer excellent and affordable homecare to individuals and families and in the process help brighten each and every one of their days. Our vision has always been clear; we hire only highly qualified and trained caregivers and expertly match them with our clients. Trained, supervised and continually educated, exceeding the requirements of the State of Illinois.